From 30 to 90mm in 5mm steps. From 50 to 90mm in 5mm steps. 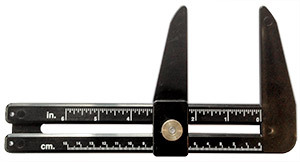 6 sizes measurements: 16, 17.5, 19, 21, 23, 25 and from AAA to D.
11 squaerd sizes from 30 to 80mm in 5mm steps. From 7/8" to 2 inches in 1/32" steps. 6 sizes from 20 to 30mm in 2mm steps. 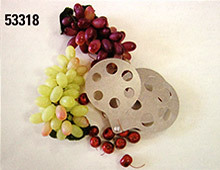 Suitable for grapes, cherries etc. 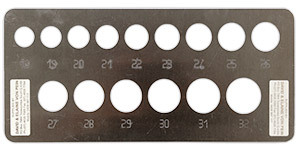 30 holes from 18 to 23 mm (steps by 1 mm) and from 30 to 100mm (steps by 5mm). 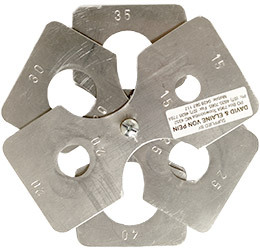 Providing a contemporary reading of diameter from 25 to 95 mm and circumference of 8 to 30mm. From 20 to 100mm and from 4/5" to 4 inches. Durable metal construction, 15mm - 50mm in 5mm steps. Durable metal construction, 18mm - 32mm in 1mm steps. Durable metal construction, 95mm - 120mm in 5mm steps. Used extensively throughout the potato industry by producers of foods such as crisps, French fries, potato wedges and canned, frozen and powdered potato products. 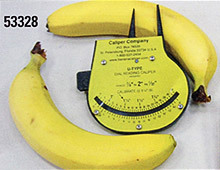 This is a simple and accurate method of measuring the solid content or percentage dry matter of potatoes. The method of use involves placing a known weight of potatoes in the basket and suspending the hydrometer and potatoes in a large container of clean water. The buoyancy of the unit in water determines the water level against the vertical scale and hence gives the dry matter reading. 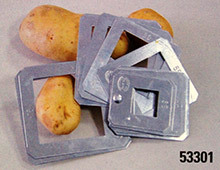 A simple and accurate method of measuring the solid content or percentage dry matter of a bulk sample of potatoes. A known weight of potatoes is suspended in a large container of clean water. 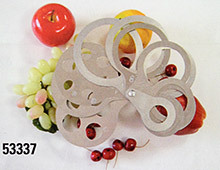 Product details courtesy of manufacturer: Martin Lishman UK.